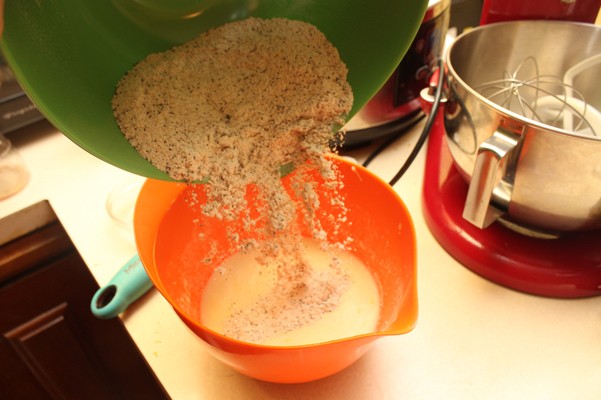 This edition of Baking Adventure in a Messy Kitchen will heretofore be known as. . . The Flattening. 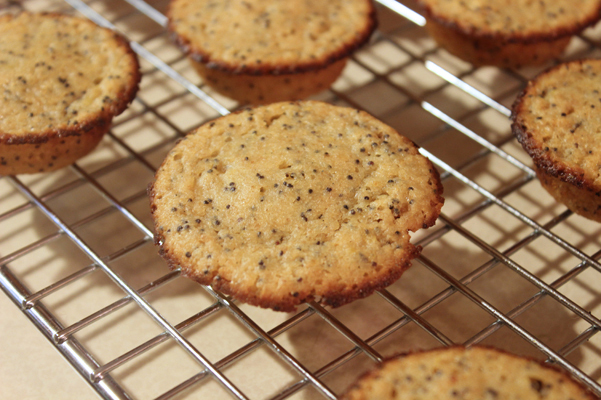 I don’t know why these mini muffins turned out so flat. 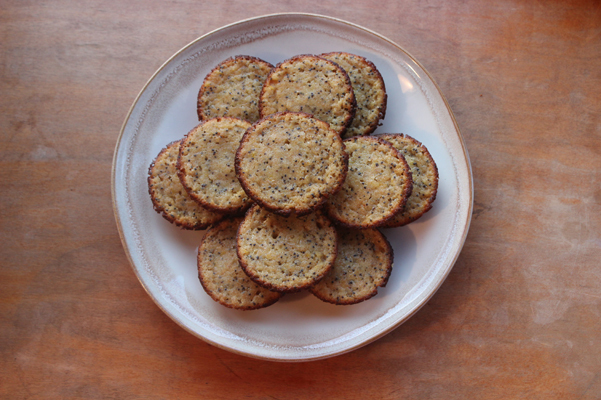 The photos on the original recipe look lovely, with tiny, cute puffy little muffins perched on a tea towel. Mine came out flat as pancakes on top, almost as if I wanted them that way. Oh wait! Yeeah, I WANTED them that way. 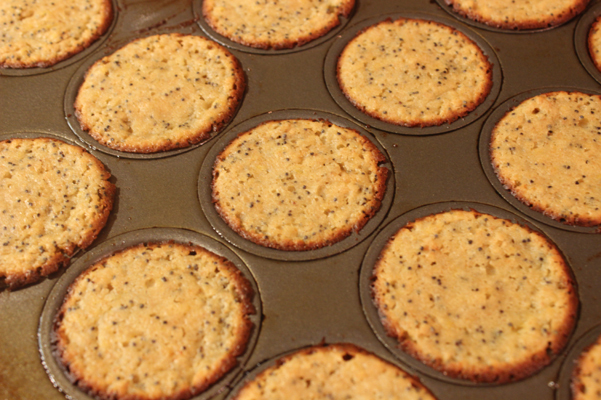 Flat muffins. 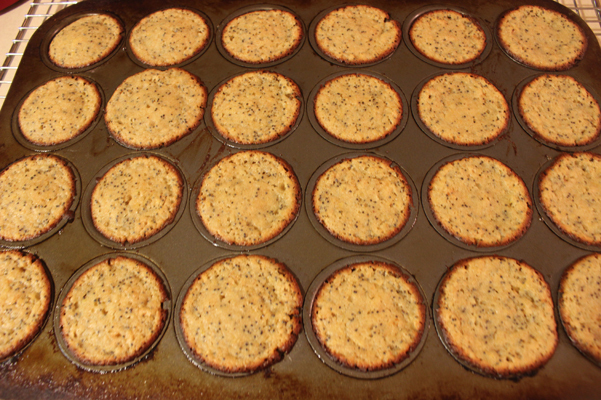 Who doesn’t want flat muffins? I think nobody really WANTS flat muffins. I tried to make them look nicer, so I made a muffin flower. Arty. Not Artie, like what Paul Simon calls Art Garfunkel, but arty, like a muffin flower. But I digress. Should we get to the heart of things? I was intrigued by this recipe. I love lemon poppy muffins and this one boasted coconut oil, Greek yogurt, and honey instead of sugar, so I had to give it a shot. 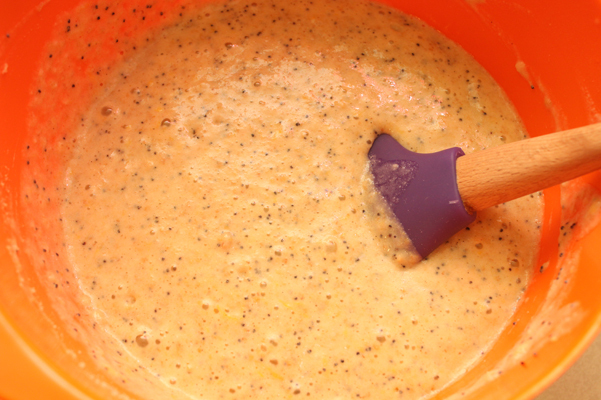 I whisked together the Greek yogurt, coconut oil, and egg. And then, since I’d forgotten to do it earlier, I zested the lemon. 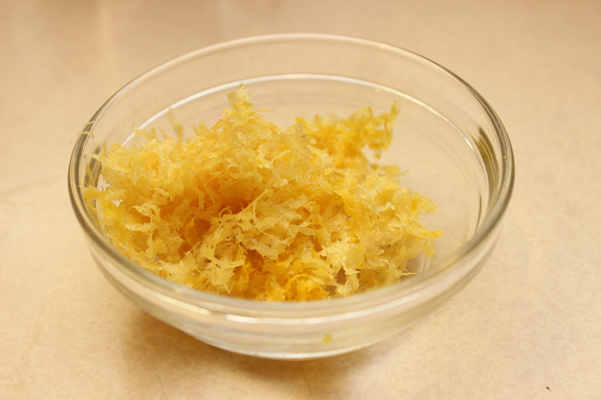 The recipe called for the zest and juice of one lemon but wasn’t specific at all about how much that would generate; there wasn’t even an estimate. I happened to have a particularly large lemon on hand and since I like strong flavors, I used the whole thing. I told you, that lemon was huge. Lemon zested, I stuck to the order in the recipe and briefly benched the zest while I added the vanilla and milk. (I opted for regular milk instead of almond milk, I have no issues with dairy.) Then I poured in the honey. I added the zest and the juice of my ginormous lemon, and mixed. 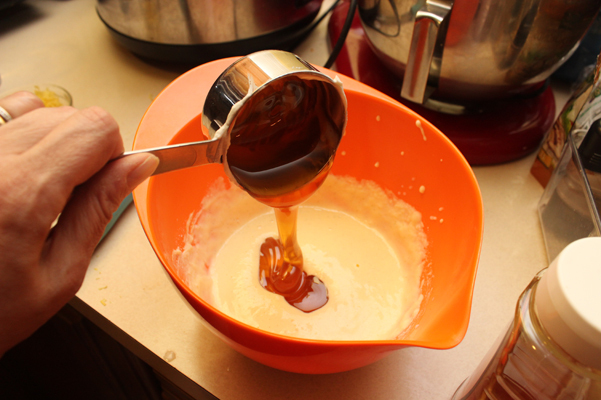 I tried the spatula but the whisk did a better job getting the honey well distributed. 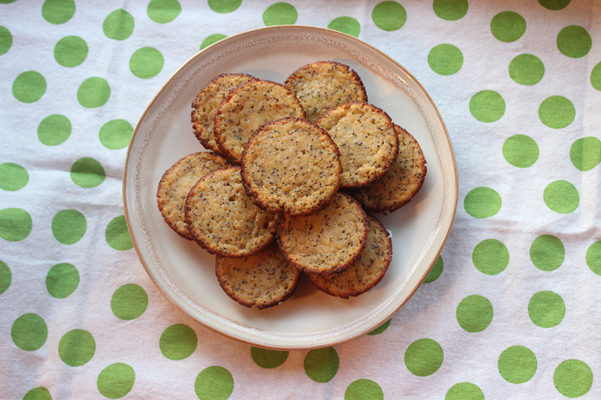 I set my utensils aside and whisked together the dry ingredients, using whole wheat white flour and wheat germ instead of spelt flour, along with baking powder, baking soda, sea salt (I didn’t have pink salt), and poppy seeds. 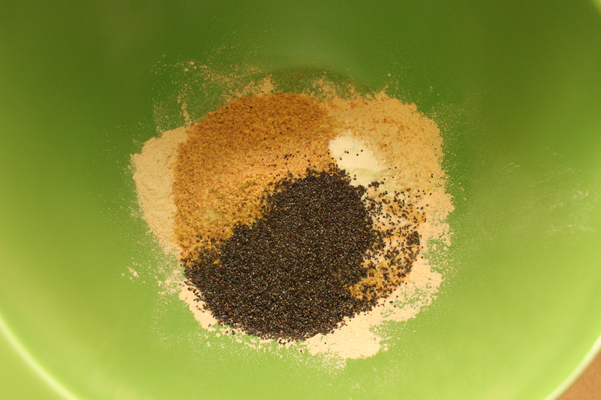 And then I was at the simple step of combining the two bowls, transforming everything into one cohesive batter. I always love this part. And that’s where it began. The Flattening. I shouldn’t have filled up those mini muffin cups so high, but the recipe said it would make 24 mini muffins, and my tin was sitting there, and the batter just seemed to make it. 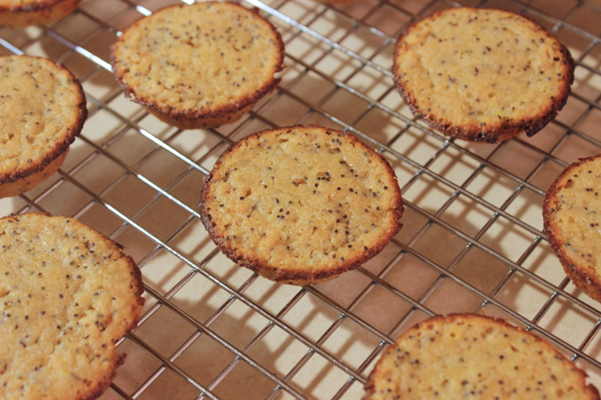 I should have listened to my inner baking voice, which KNOWS that you shouldn’t fill mini muffin tins to the top, but I let my tired human being voice, which didn’t want to haul out another tin and then have to bake both, and then wash both, reign. Bad call. Because this picture foretells the future. Other than that, though, it was a pretty good recipe. I actually think I made them too lemony — my oversized lemon was more than these muffins needed, and a smaller one would have imparted just the right amount. My friend Carol disagrees, she thought they were lovely and would have added a lemon glaze! (I secretly think she adds lemon glaze to everything, even breakfast cereal.) For me, the flavor was too strong, and I like a lot of flavor. But the texture? Perfect. And the harshest critic of all, 6-year-old Juliet, ate a bunch with great gusto. 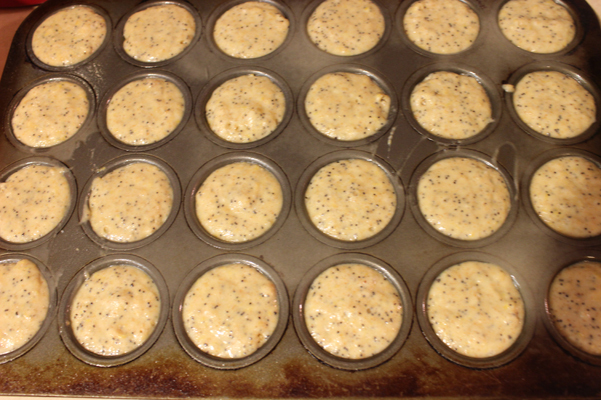 Heat oven to 400 degrees and spray a 24-cup mini muffin tin or line with mini muffin cups. 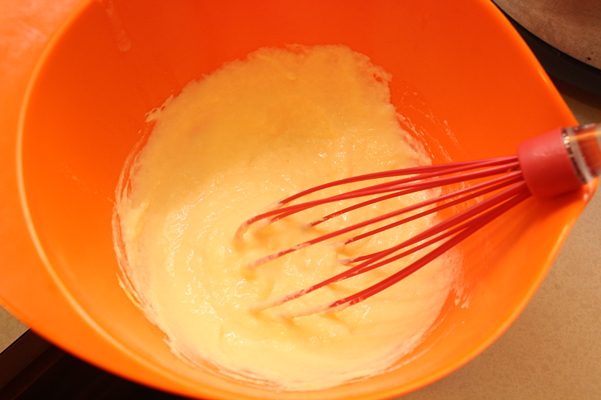 In a large bowl, whisk together the yogurt, oil, and egg until thoroughly mixed. 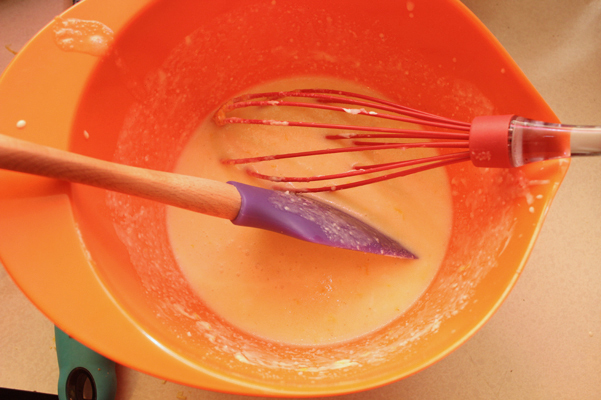 Add the milk, vanilla, honey, lemon zest, and lemon juice and whisk together vigorously. 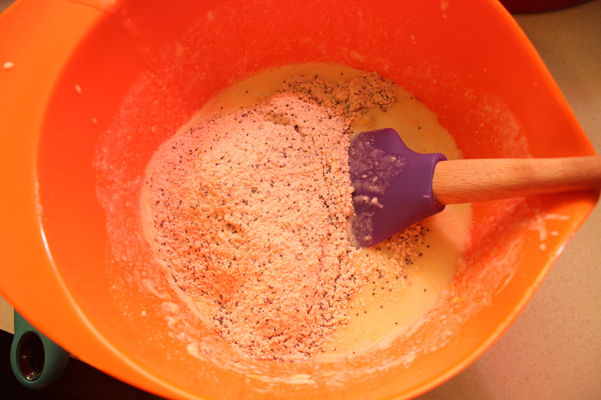 Separately, whisk together the flour, wheat germ, poppy seeds, baking soda, baking powder, and salt. 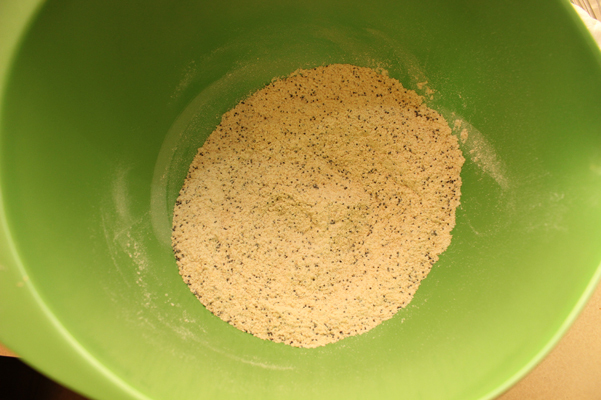 Pour dry ingredients into the lemon batter and stir just until incorporated.